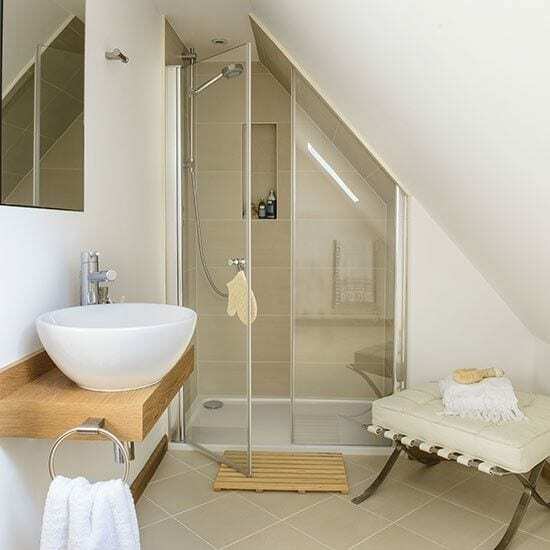 As I mentioned last week, plans are underway to remodel our attic space into a spacious bedroom and en-suite bathroom. We’ve had the initial plans and have now instructed the architect to pull together the detailed drawings. It’s been a long time since I’ve had to think about such big renovations, and almost a decade since we did anything major like this to our home. Back then we renovated everything, including the kitchen and bathroom, that latter of which is actually very small. So, that got me thinking about the en-suite in the attic, and what will be important in terms of that space. As we have a smaller family bathroom, it was really important that the new bathroom wasn’t too tiny or cramped. Whilst it doesn’t have to be huge, I don’t want restricted headspace or angled ceilings at all. It needs to feel spacious and practical, but not take too much space away from the bedroom. I’ve been doing quite a bit of research, and thought it might be useful to share what I’ve found. A big bath with taps in the middle is the heart of any bathroom for me. Even if you want to create a sleek, contemporary bathroom, there’s always room for some colour. Don’t let the bathroom become too sterile and clinical, add flashes of colour to bring it to life and add some warmth. Obviously you don’t necessarily want a yellow bathtub but a feature wall, whether in paint or tiles will give the room some depth and help to create the sanctuary you crave. 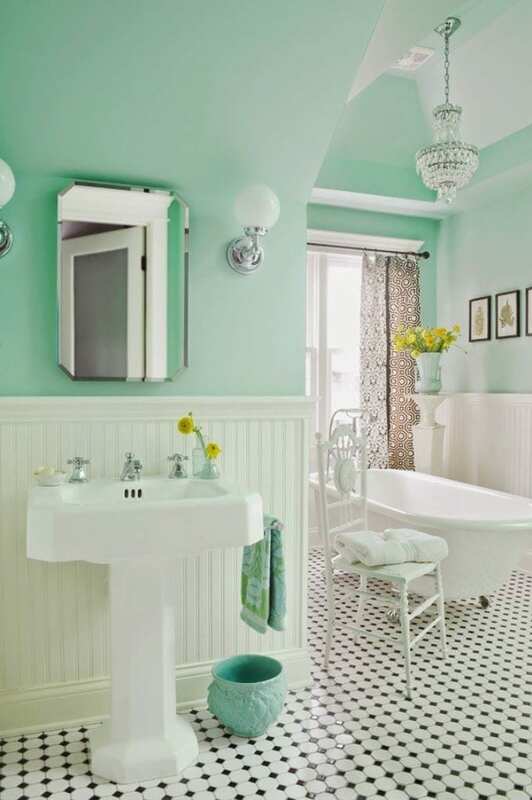 Bathrooms don’t have to be blue! Tie your colour scheme into that of the rest of the house for another beautiful room that just so happens to have a bath in it. It’s so easy to add a single overhead light and let that be it. There’s so much more you can do though, in order to create the right atmosphere with the lighting. Add some wall lights, a spotlight over the shower, and lighting around the cabinet or mirror. If you use halogen lights you’ll be able add a dimmer and soften the lighting when you need to. Another way to ensure the bathroom is bright and light, is to consider the mirrors. Bouncing light around the room, particularly in a small room I’ve been really inspired by the ABL’s bathroom mirrors, which include sleek, contemporary designs as well as some which are more ornate that work well as wall decor too. Whatever your style, adding a mirror will offer both a practical and stylish solution. 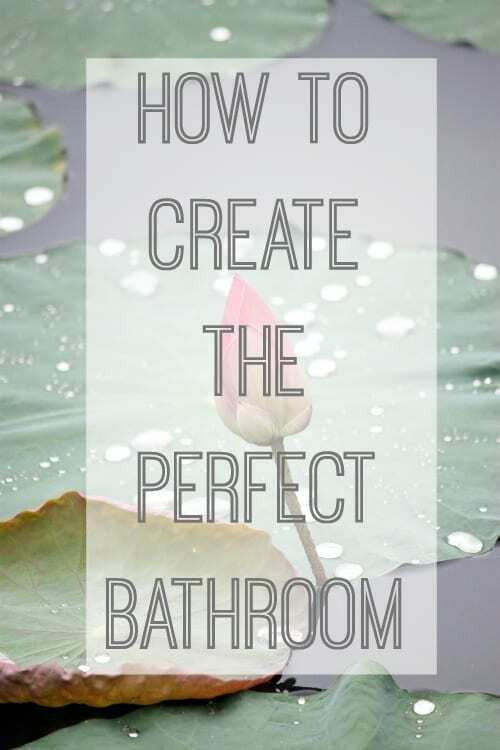 Look at ways to add extra special touches to make it feel something more than just a bathroom. And this doesn’t always involve big costs either. Think high-end textures, metallics, plush rugs and super soft towels. Add candles, wall decor and personal touches like photographs to really create a calming, restful space. Plants are making a big comeback and many do really well in a bathroom environment, so add a few if you like a more natural, eco feel to the bathroom space. For many this is all about the bath. Apparently though, we tend to only take one or two baths a year, so their popularity is waning, and many are replacing them with huge walk in showers. Obviously, we won’t have space for a bath in our en-suite, so I was going to give us the biggest shower we could manage. I somehow can’t imagine a family home without a bath though, can you? I’ve lived in loads of houses and there’s nothing more disappointing than a small or cold bath. 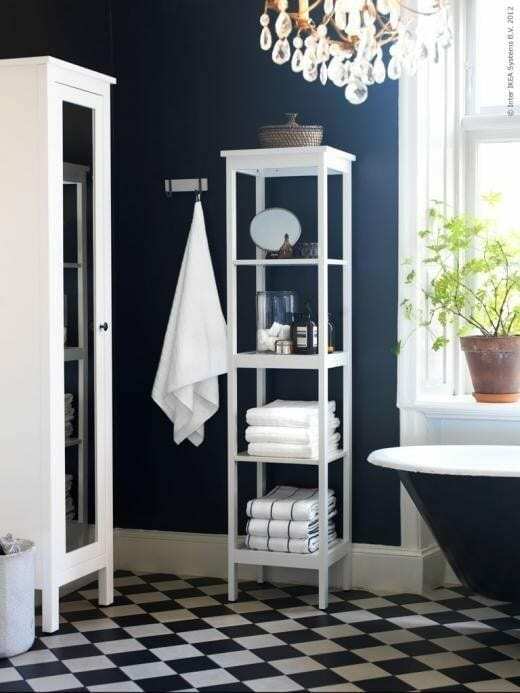 Bathroom storage can take many forms, from a towel rail, to bathroom cabinet to hidden bath cupboards. Whatever you have space for, use it well and make the most of the height in the room. You’ll need to keep towels, toiletries, kids’ toys and all the toothbrushes stored neatly to ensure easy cleaning, and an uncluttered feel. It’s not always easy to get right, but there are lots of ideas and inspiration out there, just keep researching. For me it’s about aesthetics meeting functionality. Floating units and counter top basins are a great space save while looking good. What would make the perfect bathroom for you? If you’d like to see more on my How to Create the Perfect Home series, check out the Living Room, and Dining Room posts too. We are also converting our attic to add a bedroom and bathroom to the house. Our biggest problem is how to hide the water pump. We’ve been recommended to place it at the highest point possible which means that it will be situated on the wall aobve the stairs – not ideal! How will you resolve that situation? Gorgeous images, and great tios!